Enjoy breakfast, lunch, and dinner while overlooking beautiful Keeweenaw Bay. We have all your building needs! At the law firm of Graybill and Mead, PLLC, our attorneys practice all throughout the Upper Peninsula of Michigan. 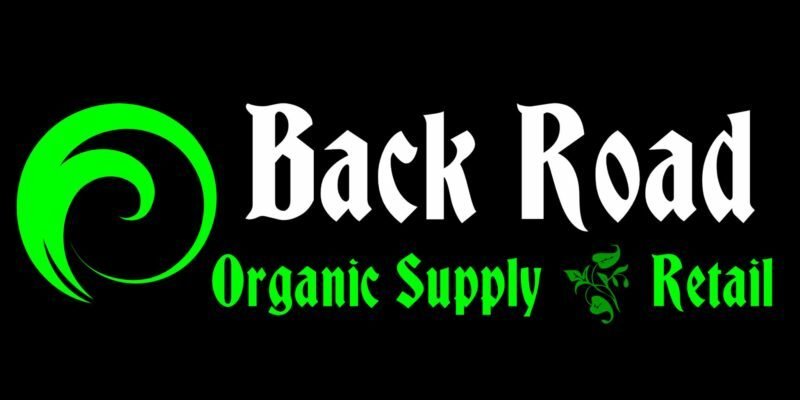 Exceptional customer service for all your indoor/outdoor growing needs at discounted prices. Laser North is a family owned laser cutting and precision manufacturing firm. Supporting the charitable health needs of the community! Upper Michigan Energy Resources, a subsidiary of WEC Energy Group,owns generating facilities and serves about 41,000 energy customers in Michigan's Upper Peninsula. We represent individuals and businesses in the purchase and sale of property and closings. Concrete Supplier to fit all your needs. Membership is open to those who live or work in Baraga County. Baraga County Memorial Hospital (BCMH) is a Critical Access Hospital organization, providing a wide scope of health and wellness services. Baraga Telephone Company – Up.Net has one of the largest, most robust, and advanced privately owned networks in the Midwest. Our agency provides in home services for seniors. Resale for auto parts and supplies. Bayside Village is a 59 bed skilled nursing facility that embraces a philosophy of person centered care, empowering our residents to direct the decisions surrounding their daily lives. Plumbing, heating, and air conditioner sales & services. We are one of the few Mom and Pop Motels around. All our rooms are individual, we are not the ordinary cookie-cutter big box hotel! CENTURY 21 North Country Agency is the area's fastest growing real estate firm. Edward Jones has a very personal feel that’s almost like family. And we’re very proud of that. Propane service for residential & commercial, operating the BEST customer service in the industry. First Choice Auto Body in Lanse is Baraga County`s only state of the art full service collision center. Paint, Hardware, Plumbing, Tools, Fishing and Gardening Supplies. Established in 1978, Tailored, CPAs, works diligently to serve small businesses and individuals. Great Lakes & Land Real Estate Company, Inc.
We porvide free intitial consultations to landowners of any size and have extensive experience in sustainable forest management. Hanson Directory Service is reaching your customers wherever they are! We specialize in all aspects of construction from earth moving to the finished landscape. Programs are offered that prepare students to become gainfully employed, encourage them to pursue advanced degrees, and enable them to meet their personal aspirations. The Keweenaw Economic Development Alliance (KEDA) is a private-public partnership local economic development organization serving Baraga, Houghton and Keweenaw Counties. Auto and light truck repairBrakes, shocks, struts, suspension, tires, batteries and more. LWEC is a 20 megawatt Power Plant fueled by renewable fuels. From annual exams to vision correction to the treatment of eye diseases and injuries, Meyer Family Vision offers a full range of services. Membership in our credit union covers a broad territory and is not limited to Michigan Tech Employees. Reid Funeral Service and Chapel, Lanse, offers traditional funeral services, direct cremations, memorial services, and more. Our firm is a general practice firm which provides a wide range of legal services to persons and businesses across the Upper Peninsula of Michigan. Commercial and residential rental units. Floral arrangements for all occasions, beautiful green plants, and flowering plants. Our banking operations are reflected in the character and strength of the people we serve…you. Three Lakes is a great base for all your year-around adventures including fishing, hunting, cycling, motorcycle rides,a s well as snowmobiling. Two Rivers Motel and Cabins is a rustic sportmans paradise and nature lovers dream. UPPCO is an electric utility serving Upper Michigan. We match Employers with Talent. The Village of Baraga is located in the northwestern part of Michigan's Upper Peninsula on L'Anse Bay, the lower part of Keweenaw Bay on the majestic Lake Superior shoreline. Conveniently located alongside BCMH. Fast, Friendly, Professional Service. Free Delivery. Open 7 days a week. UPMDI is the U.P.s only full -service marketing agency. Gas & Diesel pumps with hot deli offering a variety of food and whole pizzas made to order. The course is a 9-hole par 36 with a total yardage of 3210. Let the glorious view of the bay and the charms of our home rejuvenate your spirit. Discover this steakhouse in Covington, Michigan, and it’ll soon become a staple of your routine. Casual dining – breakfast – lunch and dinner plus pasty’s on Tuesdays and fish fry on Fridays. Baraga County Shelter Home, Inc. provides services free of charge to victims of domestic violence and sexual assault. We are a seasonal old fashion Drive-In. It's a family oriented restaurant bringing back the 50's & 60's style of music, food & fun. The Copper Country ISD is a service agency that provides special support services, special help and special equipment to educators in its 13 local school districts. Small local contracting business run by Eric Danielson. Jacobson Funeral Home in Lanse, MI offers direct cremation services, traditional funerals, memorial services, monuments and more. In hopes to keep the community cleaner, we accept solid waste, and construction debris and are open to the public. We provide services in embroidery, laser and rotary engraving, vinyl cutting, screen printing, and sublimation printing. L'Anse Manufacturing & Technology Inc.
Delivering machining, processing and assembly solutions through innovation, collaboration and productivity. Full service real estate office, covering Houghton, Keweenaw, Ontonagon, and Baraga Counties. Pettibone specializes in material handling equipment. Gas and Diesel station, smoke shop, convenience center OPEN 24 hours x 7 days a week. With more than 50 years of service supplying the insurance needs of families and businesses, we are a trusted source for your home, auto, business and more. Area`s top selling real estate broker. Up North Realty goes above and beyond for their buyers and sellers. Machine Shop, Manufacturer, Weld Shop, Light Fab, Hydraulic Cylinder Manufacturing & Repair. We offer young 5 Kindergarten through 8th grade to families of all faith backgrounds. Selkeys have been in business since 1959, we are a premier custom metal fabrication manufacturer company located in the UP. The Ojibwa BP offers gas, snacks, fast food, whole pizza orders, marina with pontoon & kayak rentals seasonally. General Dentistry, including implants and orthodontics. NEW patients welcome. Great Lakes Environmental Services, Inc.
405 E. Five Mile Rd. We take pride in producing quality products for our customers here in the heart of the U.P! Through the responsible development of innovative and sustainable building products, CertainTeed has helped shape the building products industry for more than 110 years. Since the district was established, L’Anse Area Schools has strived to provide a high quality education to a rural Upper Peninsula community. Our goal is to provide the best quality powder coatings at affordable prices with the quickest turn-around times. Wood fired brick oven pizzeria! Full line of services and eye-ware! Family owned and operated locally! Superior Marketing provides graphic design, logo design, photography, advertising copy and layout, and digital design services. UP Accounting provides payroll, accounting, bookkeeping, and tax services to small businesses and individuals in the Upper Peninsula of Michigan. As a licensed multi-line producer, I can serve you with life, home, auto, commercial, and farm insurance.